A couple of days ago (July 10th) Sarah has had her last day filming The Wedding Year in Downtown Los Angeles and made it look like a professional photoshoot. Love these photos! A day after (July 11th) Sarah was seen hitting the gym and filming the paparazzi straight back. Even though last night (July 9th) was a hot day in Los Angeles Sarah managed to look wonderful on the set of The Wedding Year. The team of TWY shared a wrap t-shirt on their Instagram Stories, wondering if everybody has wrapped already? 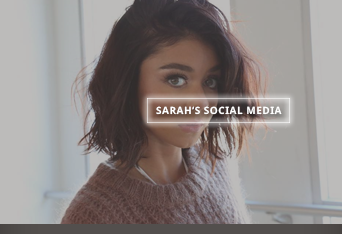 Sarah’s back on track. Love seeing her doing better. She was seen on the set of The Wedding Year in Downtown Los Angeles on Monday (July 2nd). Even though these photos look like taken on the set of Dirty Dancing Sarah was actually filming a dance scene for her new movie The Wedding Year in Los Angeles on Friday (June 16th). The more on set photos we get the more excited I am to finally see this movie. New month, still at work. Sarah was see on the set of The Wedding Year in Beverly Hills on Friday (June 1st). Also there a few onset photos you can find in the gallery. Back to Mara. On May 31st Sarah was seen on the set of The Wedding Year looking all fab. Getting more and more excited to see the final result. How about you? Another day, another scene, or maybe even scenes? We will find out once Sarah’s movie The Wedding Year drops. 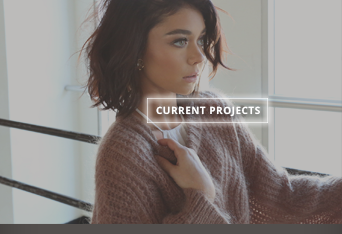 Currently she’s working on her latest project in Los Angeles. On Wednesday (May 30th) she was seen on set of the movie in LA. Sarah keeps hopping into the role of Mara in The Wedding Year. Last night (May 24th) she was seen on set with an old friend – Matt Shively, who’s also part of the cast. Besides candids of last night I’m also glad to share some on set photos of Sarah as Mara from The Wedding Year’s Instagram account. Almost right after announcing her new project Sarah started filming her new movie The Wedding Year in Hollywood. She was seen on set of the new movie on May 23rd, alongside her cast mate Tyler James Williams, who appears to be playing Mara’s (Sarah) love interest. Can’t wait to see more. Oh by the way, find exlusive pictures and videos of the movie on Twitter and Instagram. Sarah Hyland will star in the rom-com The Wedding Year for Lakeshore Entertainment. Legally Blonde director Robert Luketic will helm the feature, which centers on a marriage-resistant Los Angeles photographer (Hyland) who is invited to 15 weddings in the same year with her new ready-to-settle-down boyfriend. Lakeshore’s Gary Lucchesi, Marc Reid and Mark Korshak will produce, with Hyland executive producing. Production will begin later this month in Los Angeles. 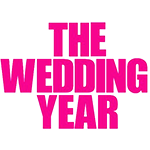 Lakeshore will be presenting The Wedding Year for sales at Cannes. 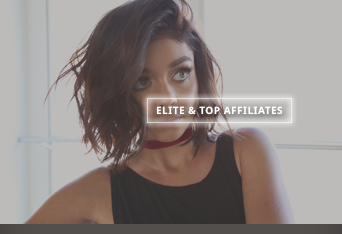 Hyland, who is repped by WME, RKM and Gang Tyre, is best known for her role on ABC’s long-running series Modern Family, which is wrapping up its ninth season. Luketic, who previously worked with Lakeshore on the Katherine Heigl-starrer The Ugly Truth, is repped by CAA, Mosaic and Bloom Hergott.